There are many reasons behind the internationalization expansion of family businesses. This study provides an understanding of the international expansion strategy of family businesses in the United Arab Emirates (UAE) in comparison to other countries. The purpose of this paper is to investigate the internationalization strategy for family businesses, key driving factors and the major barriers that could restrict United Arab Emirates family businesses progress. Based on the objective of the study, this paper encompasses both qualitative and quantitative research. The sample of this study includes 20 managers of top 10 family businesses in UAE. The findings indicate that most of the participants (80%) are interested in the internationalization process to expand their operations. To remain competitive, UAE policymakers should consider entrepreneurship education and business initiative to stimulate entrepreneurship activities both at the local and national levels. Bell, J., Crick, D., & Young, S. (2004). Small firm internationalization and business strategy an exploratory study of ‘knowledge-intensive’and ‘traditional’manufacturing firms in the UK. International Small Business Journal, 22(1), 23-56. Bradley F., and Gannon M. (2000). Does the firm’s technology and marketing profile affect foreign market entry? Journal of International Market, Vol. 8(4), pp. 12-36. Claver, E., Rienda, L., & Quer, D. (2009). Family firms’ international commitment: The influence of family-related factors. Family Business Review, 22 (2), 125-135. Chang, S. J. (1995). International expansion strategy of Japanese firms: Capability building through sequential entry. Academy of Management journal, 38(2), 383-407. Chen S.F., and Hennart J.F. (2002). Japanese investors’ choice of joint ventures versus wholly-owned subsidiaries in the US: the role of market barriers and firm capabilities, Journal of International Business Studies, Vol. 33(1), pp. 1-18. Daszkiewicz, N., & Wach, K. (2014). Motives for going international and entry modes of family firms in Poland. Journal of Intercultural Management, 6(2), 5-18. Fadol, Y. Y., & Sandhu, M. A. (2013). The role of trust on the performance of strategic alliances in a cross-cultural context: A study of the UAE. Benchmarking: An International Journal, 20(1), 106-128. Fernández, Z., & Nieto, M. J. (2005). Internationalization strategy of small and medium‐sized family businesses: Some influential factors. Family Business Review, 18(1), 77-89. Shahid, A., Bodolica, V., & Spraggon, M. (2014). Zayed Al Hussaini Group: The road ahead for the family business in the UAE. Emerald Emerging Markets Case Studies, 4(1), 1-23. Kontinen, T., & Ojala, A. (2010). The internationalization of family businesses: A review of extant research. Journal of Family Business Strategy, 1(2), 97-107. Paul, J., & Bhawsar, P. (2011). Japanese acquisition in India's Ranbaxy. Competitiveness Review: An International Business Journal, 21(5), 452-470. Plakoyiannaki, E., Pavlos Kampouri, A., Stavraki, G., & Kotzaivazoglou, I. (2014). Family business internationalisation through a digital entry mode. Marketing Intelligence & Planning, 32(2), 190-207. Lu J.W., and Hebert L. (2005). Equity control and the survival of international joint ventures: a contingency approach, Journal of Business Research, Vol. 58(6), pp. 736-45. Metwally, M. M. (2004). Impact of EU FDI on economic growth in Middle Eastern countries. European Business Review, 16(4), 381-389. Mellahi, K., Demirbag, M., & Riddle, L. (2011). Multinationals in the Middle East: Challenges and opportunities. Journal of World Business, 46(4), 406-410. Mostafa Khan, G., & Jamal Uddin, S. (2013). Internationalization of an Islamic investment bank: opportunities and challenges of Arcapita. Journal of Strategy and Management, 6(2), 160-179 Notteboom, T. (2011). Current issues in shipping, ports and logistics. USA: Asp/Vubpress/Upa. Khan, G. M. (2012). Internationalization of an entrepreneurial services company from the Arabian Gulf: The case of renaissance services SAOG. International Journal of Business and Management, 7(8), 33. Chaudhry, S., & Crick, D. (2003). Small Asian-owned retail businesses in the UK: an exploratory investigation. Marketing Intelligence & Planning, 21(6), 346-356. Sharma, P. (2004). An overview of the field of family business studies: Current status and directions for the future. Family business review, 17(1), 1-36. Shanker, M. C., & Astrachan, J. H. (1996). Myths and realities: Family businesses' contribution to the US economy—A framework for assessing family business statistics. Family Business Review, 9(2), 107-123. Zain, M., & Kassim, N. M. (2012). Strategies of family businesses in a newly globalized developing economy. Journal of Family Business Management, 2(2), 147-165. Hvidt, M. (2009). The Dubai model: An outline of key development-process elements in Dubai. International Journal of Middle East Studies, 41(03), 397-418. Treadgold A., (1988). Retailing without frontiers: the emergence of transnational retailers, International Journal of Retail and Distribution Management, Vol. 16(6), pp. 8-12. Nasra, R., & Dacin, M. T. (2010). Institutional arrangements and international entrepreneurship: the state as institutional entrepreneur. Entrepreneurship Theory and Practice, 34(3), 583-609. Ahamat, A. & Chong, S.C., “Multi-Methodological Approaches in Qualitative Entrepreneurship Research, International Business Management,” Vol 9, no. (4), pp. 601-612, 2015. Della Porta, D. (2014). Methodological practices in social movement research. USA: Oxford University Press. Creswell, J. W. (2013). Research design: Qualitative, quantitative, and mixed methods approaches. UK: Sage. Hall, R. (2008). 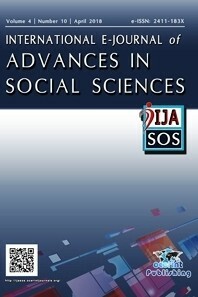 Applied social research: Planning, designing and conducting real-world research. Australia: Macmillan Education AU. Jabeen, F., & Katsioloudes, M. I. (2013). Just Falafel: a success story of an international expansion. Emerald Emerging Markets Case Studies, 3(2), 1-12. Graves, C., & Thomas, J. (2008). Determinants of the internationalization pathways of family firms: An examination of family influence. Family Business Review, 21(2), 151-167. A. Ahamat and S.C. Chong, Assessment of the Factors Influencing Entrepreneurs on The Biotechnology Business Venture. Proceedings of the 24th International Business Information Management Association Conference - Crafting Global Competitive Economies: 2020 Vision Strategic Planning and Smart Implementation, pp. 2171-2177, 2014. A. Ahamat, Entrepreneurial opportunity creation in the biotechnology industry in Malaysia. Sheffield: University of Sheffield, 2013. L.D. Parker, Interpreting interpretive accounting research. Critical Perspectives on Accounting, 19(6): 909–914, 2008.